League A and League B are combined of 12 national teams each, while League C is combined of 15, and League D of 16 teams. There are 4 different groups in all the leagues. The national teams in the groups will play two games against each other (home and away), playing a total of 6 games per team, per group. The fixtures and results are in the local time of Nations League of European national football team. Check out the time of the match with online betting site above if you want to know when you should bet. Please click on each schedule to get your free betting predictions. 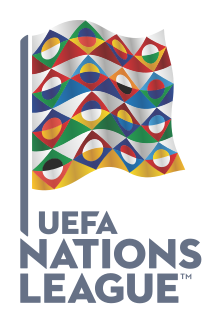 Click here for full schedules of UEFA Nations League predictions. The table of each groups of the Leagues will help player to find out more statistics of the match before decide what to bet. Full UEFA Nations League table standing here: League A tables, League B tables, League C tables. Each of the results records let know know how the team played and should we bet on goals or win/draw or corners for the next matches. This resurgence is as a result of a lot of complaining about the international friendlies, giving more meaning to each game as they will be part of a new competition. The lack of interest by the fans, and the meaningless 90 minutes played on the pitch resulted in a competition the will let the fans witness promotions and relegation to upper or lower leagues for their favorite national teams. People from UEFA, as well as national football associations see a big financial and entertaining benefit from this competition. That is a reason why The UEFA Nations League was unanimously adopted by all of the 54 UEFA member associations (excluding Kosovo as it was not a member at the time) at the XXXVIII Ordinary UEFA Congress in Astana on 27th of March 2014.